Capture the essence of elegance, romance and passion with this stunning box of classic white roses carefully put together with effort and detail one by one to create a stunning smooth shape. 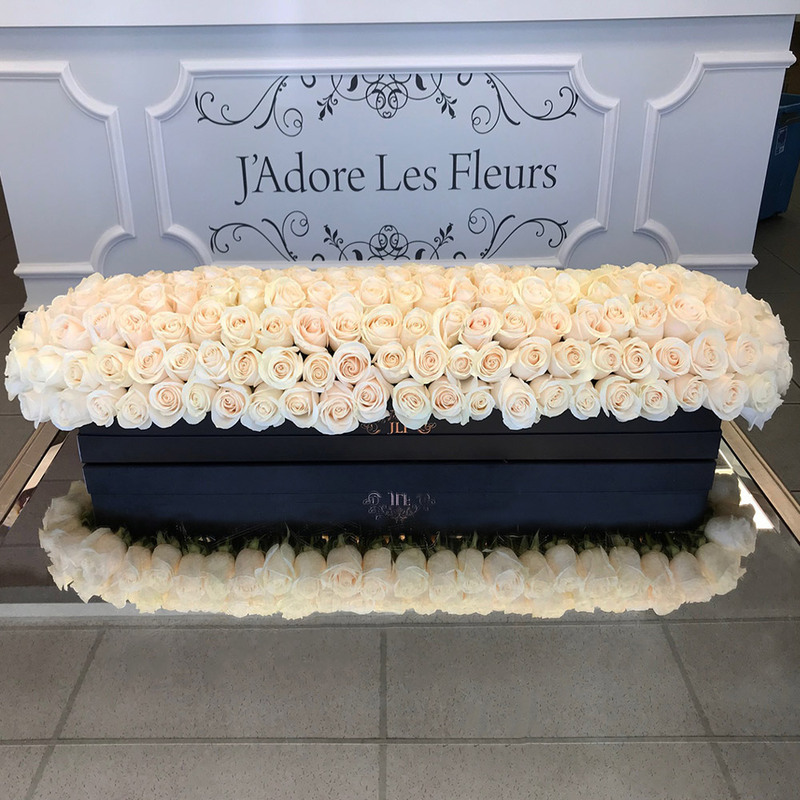 The arrangement in the photo is 200 roses in our long rectangle box and is 33 inches long and 4 inches in height. Express your feelings with the world's most exquisite flowers by JLF Los Angeles!